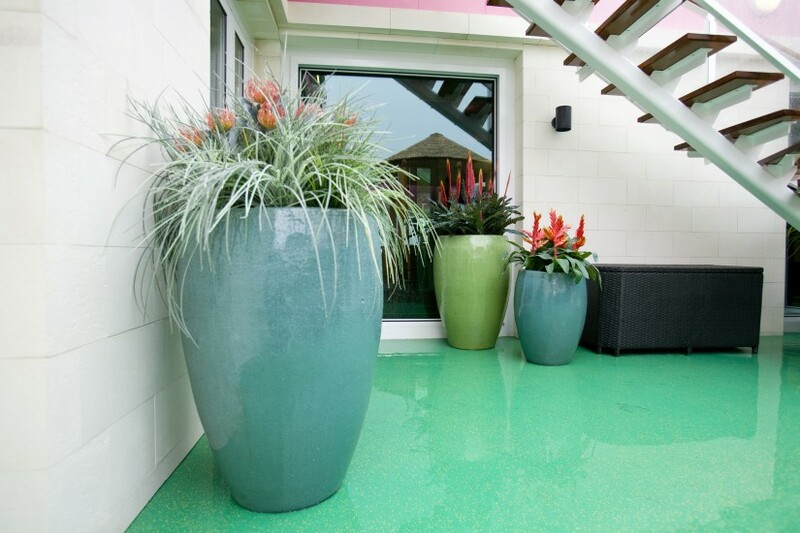 Ideally, interiors and exteriors are a single unit, constituting a whole in visual or thematic terms. 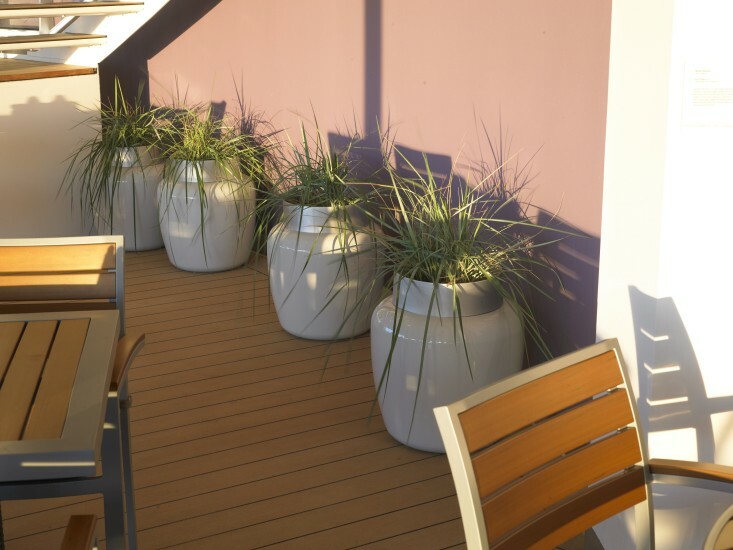 This is why we are also happy to work on the greening of terraces, sun decks or other outdoor areas. 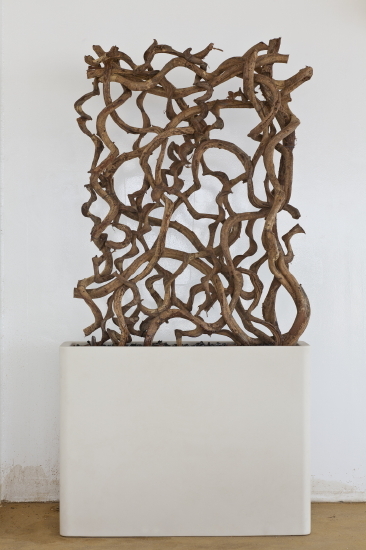 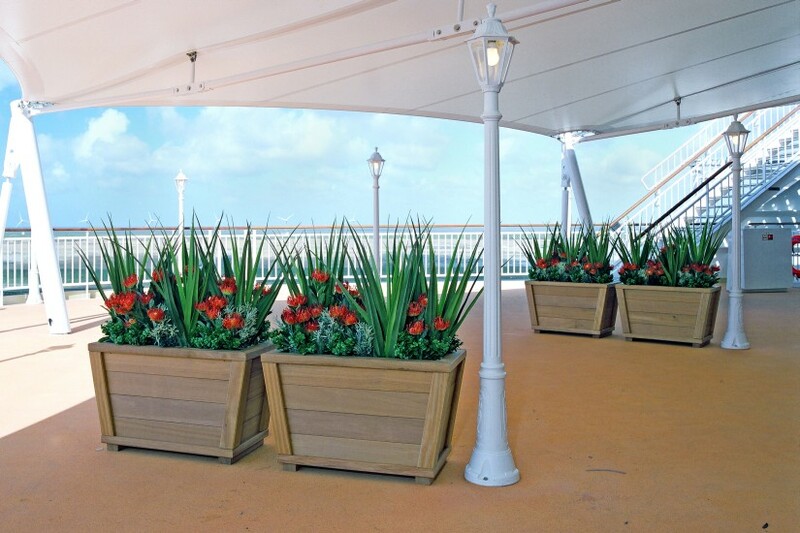 Thus, we create focal areas, screening, enchanted islands or just a pretty view. 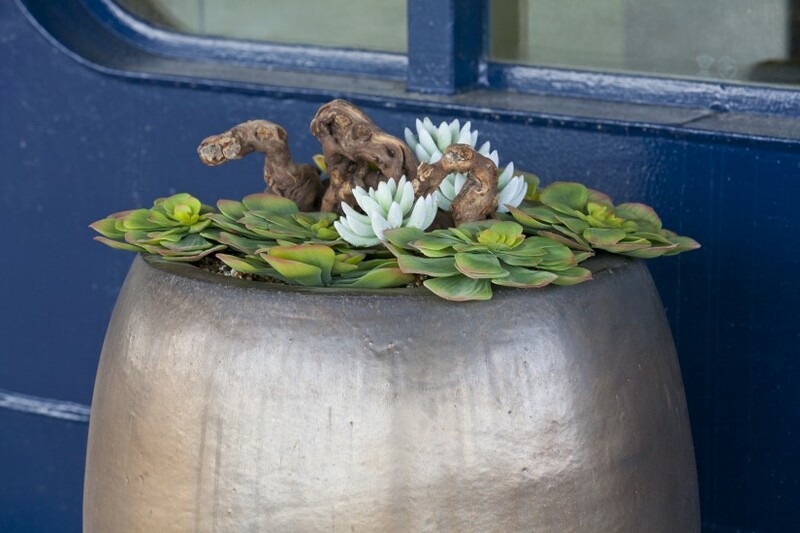 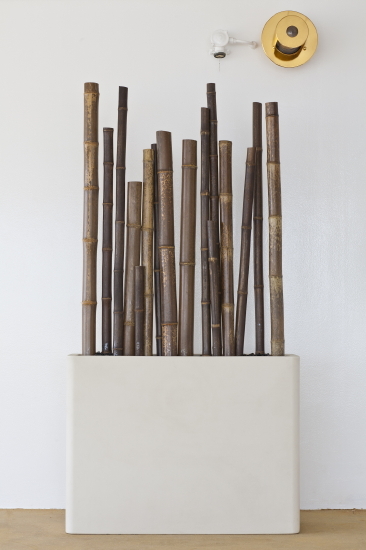 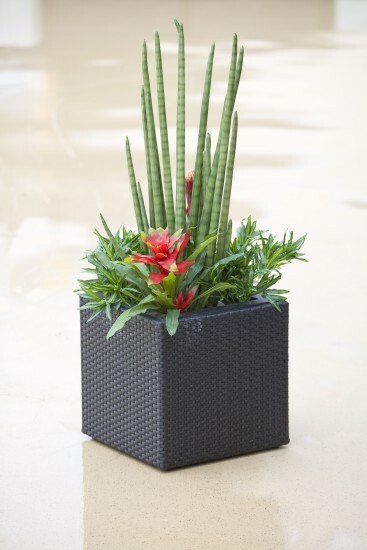 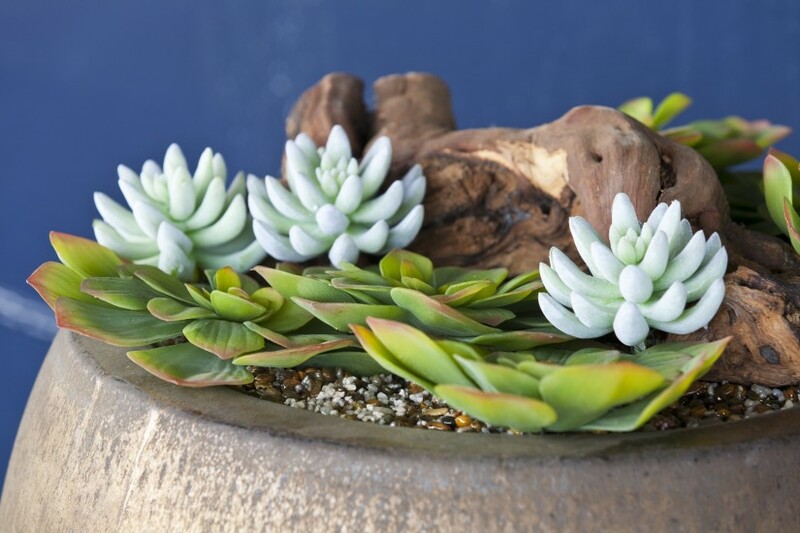 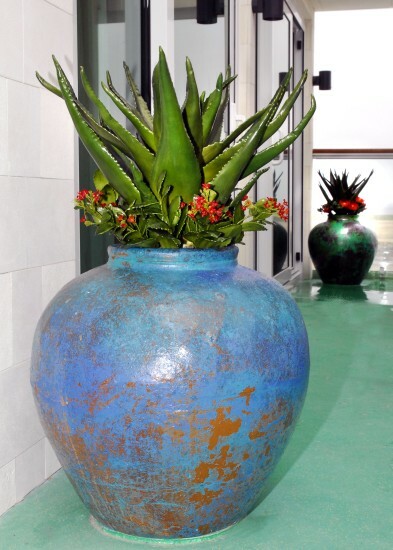 We conjure up the atmosphere of your choice using artificial or real plants and specific accents – to create a sense of well-being for your and your guests. 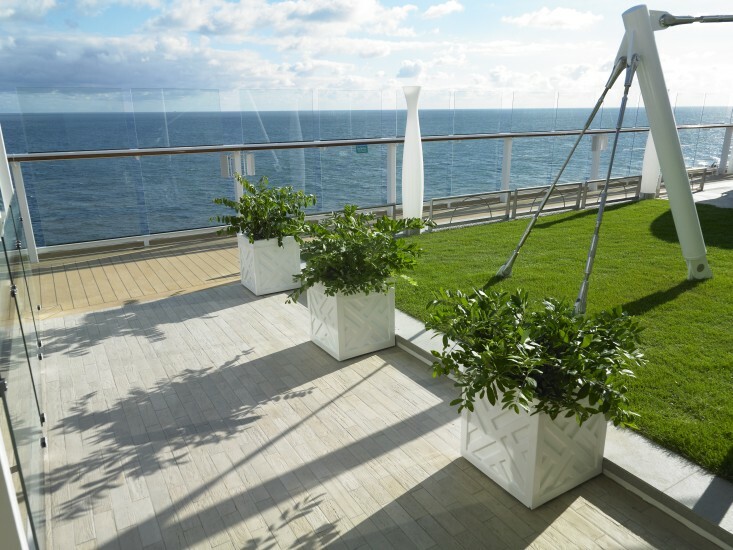 Since 1989, DAUERFLORA has been known for its creative and professional solutions around long-lasting greening of open spaces, shopping centres and shops. 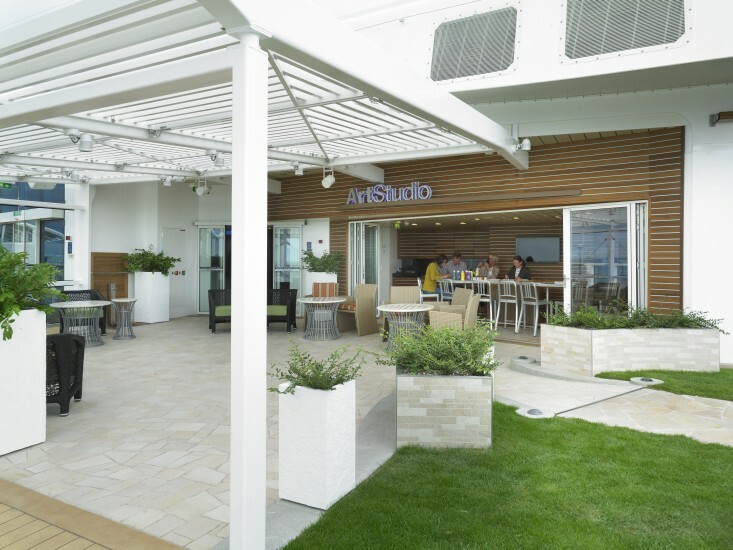 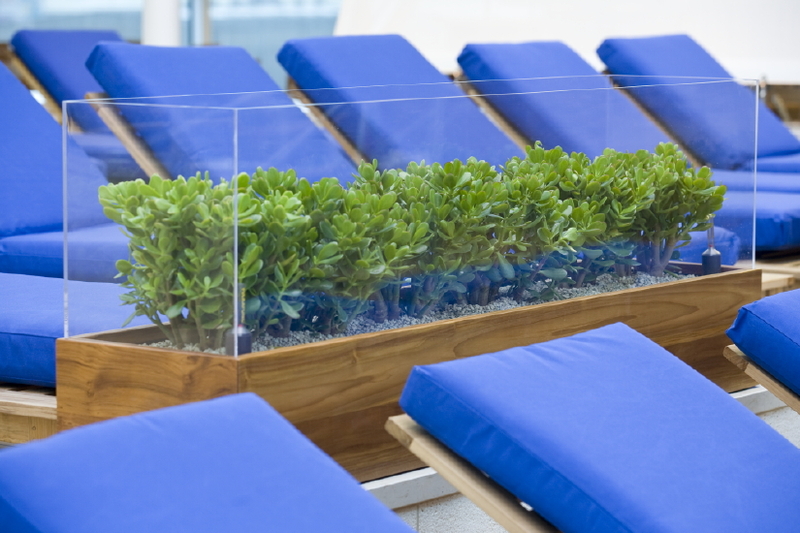 Individual solutions for commercial and public properties comprise live, artificial and preserved plants – rounded off with matching planters, furniture and accessories such as LEDs. 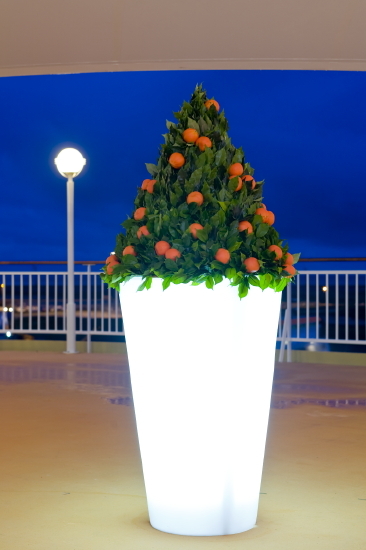 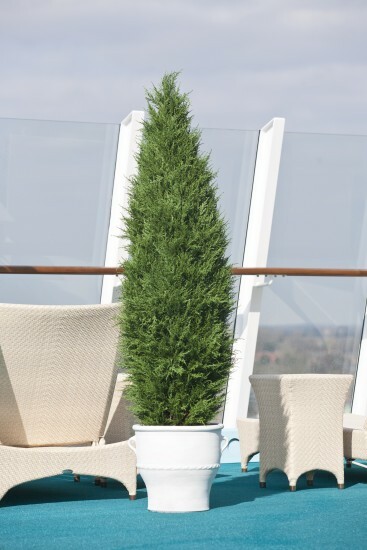 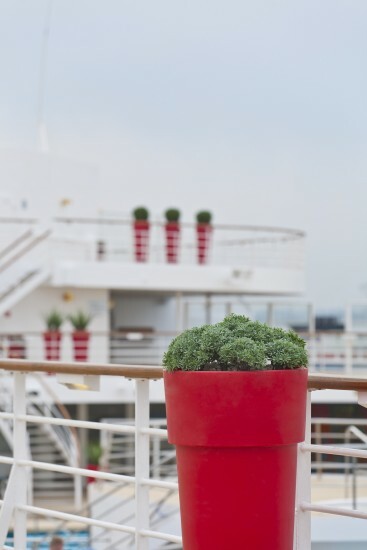 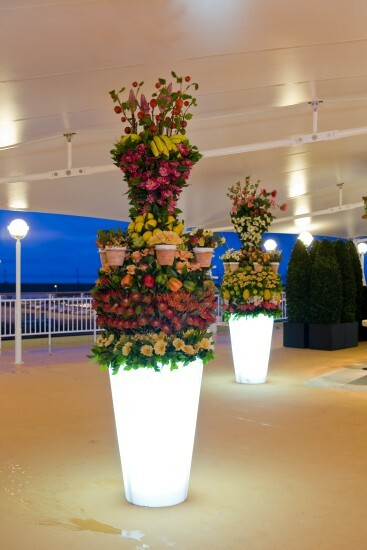 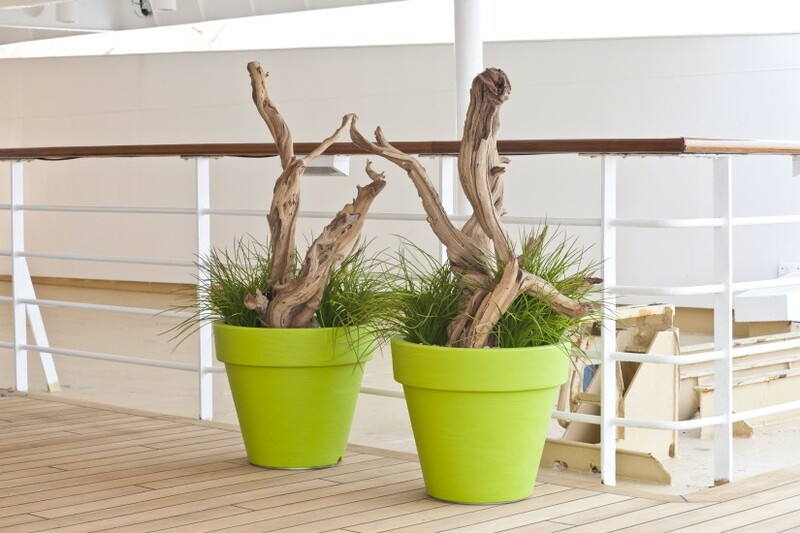 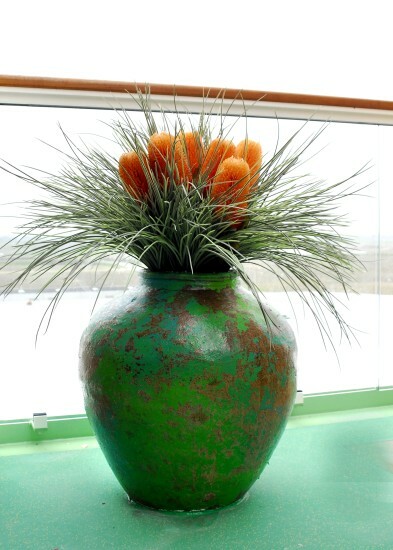 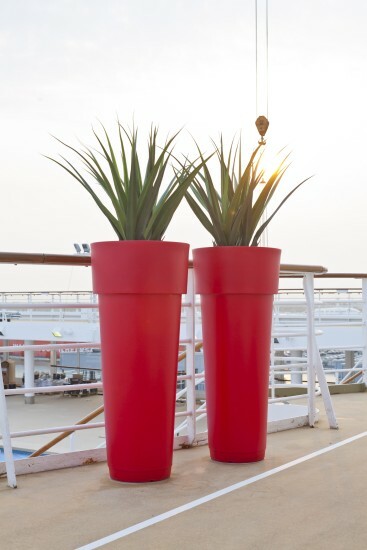 DAUERFLORA has many years' of experience and creative know-how in providing greenery for restaurants of any type – from dining rooms in hotels, buffets and canteens through to theme restaurants on cruise liners. 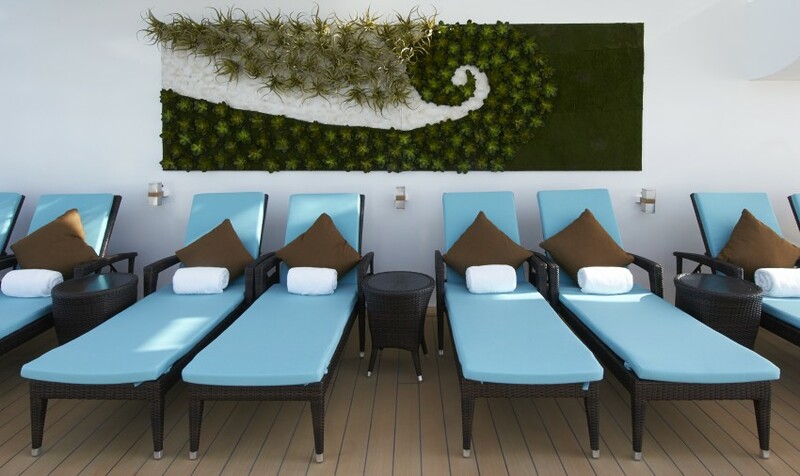 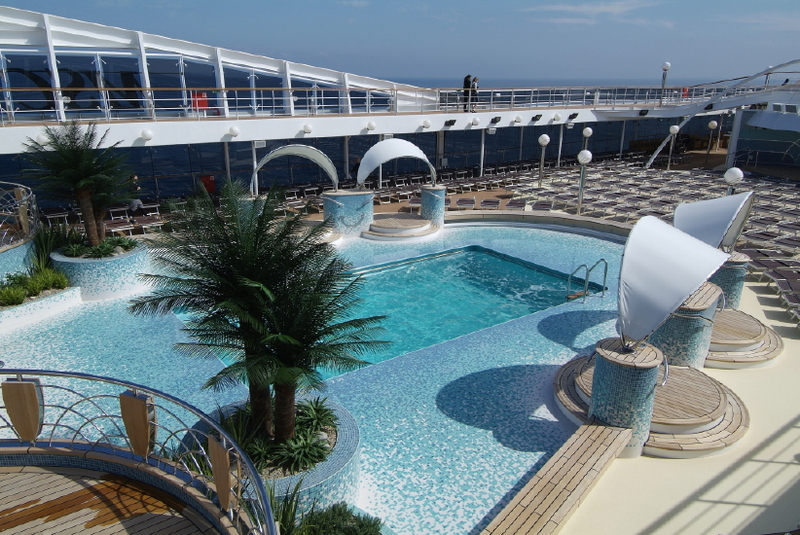 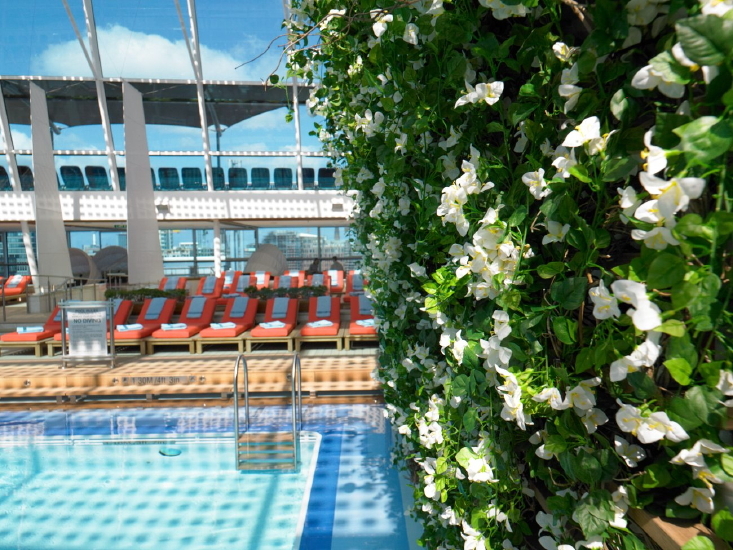 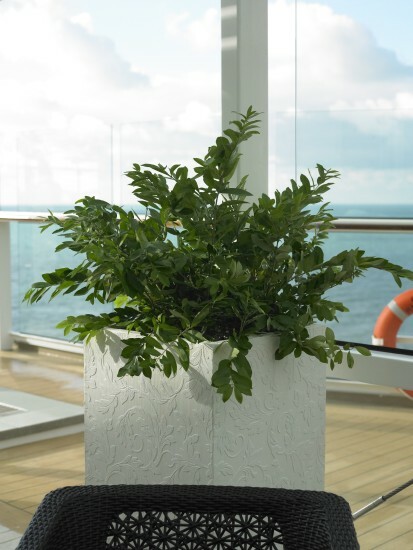 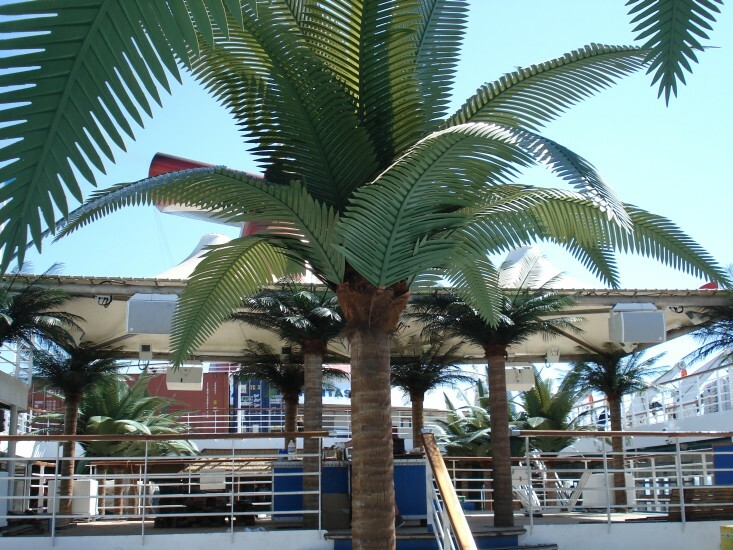 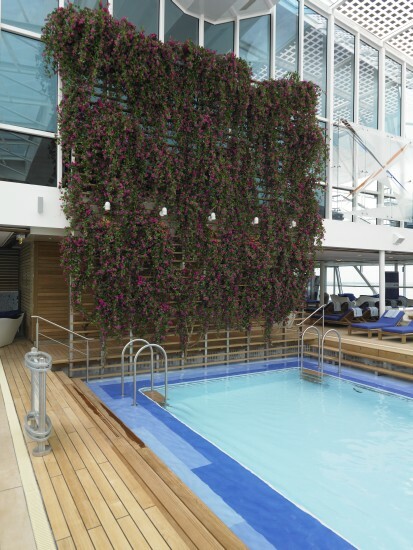 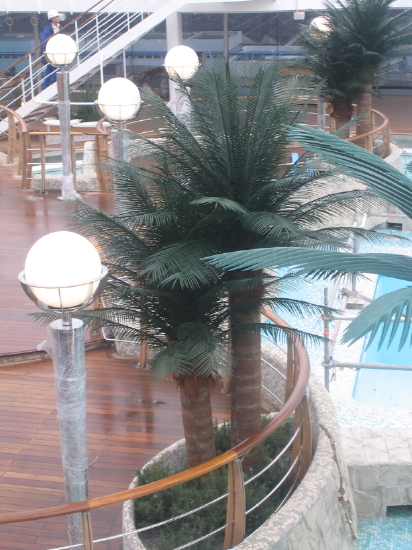 In the area of wellness and spas, DAUERFLORA has a panache for creating great ambience and flair in swimming pool and pool facility areas on luxury cruiser liners such as the AIDA, and in pool surroundings and luxurious spas. 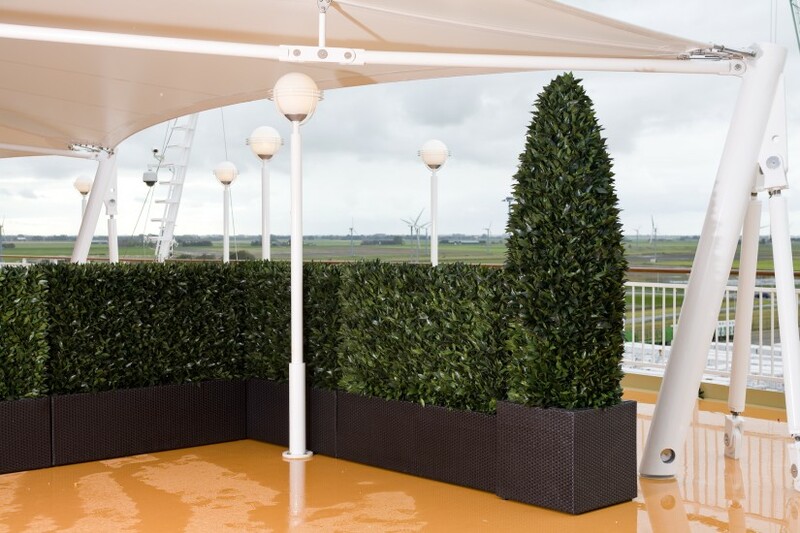 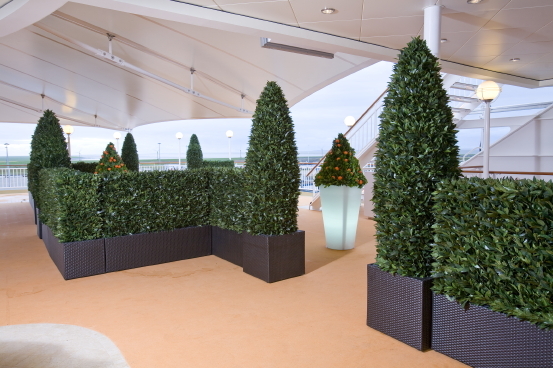 Additional specialities include creative greening of foyers and lobbies, terraces and sun decks, as well as outdoor areas using live and artificial plants. 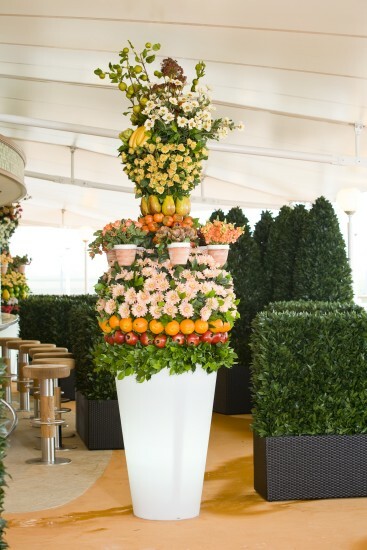 Landscapes and solitary plants create visual impressions in rooms, and provide ambience – table decorations, flower bouquets and elaborate floral displays are decorative highlights for any event. 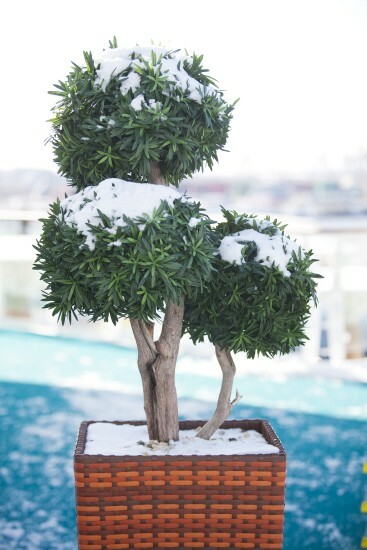 And for Christmas, DAUERFLORA designs individual festive decorations, both small and large: from charming floral displays to halls teeming with a profusion of embellishments, from dainty shrubs for the entrance area to huge decorations.